If you are in need of kitchen appliances repair Newark service,we can help!Whether it is a fridge, freezer, stove, microwave or garbage disposal that requires professional care, contact us.Located in Newark, New Jersey, we can arrange in-home appliance repair whenever you need it most. All the local technicians we hire work on any and all types of electric or gas appliances.So don’t waste your time and let the pros handle your appliance service. You will be glad you did! 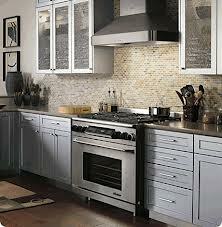 Appliance Repair Newark is one of the most reliable companies in the area. We have been in the business for a long time. Over the years,we have learned how to service residential customers well. We only employ technicians who can resolve tasks of any complexity level. Be it a dripping dishwasher or cold oven that you have, one of the repair experts will fix it in no time. We realize that people heavily depend on their home appliances.When one of them stops working, you can’t sit around and wait long. That is why our company offers same day Newark kitchen appliances service all over the area. With the help of the latest diagnostic methods, the appliance technician will detect and address the problem in a short time. All of the local appliance service technicians are familiar with modern tools and repair techniques.So even if you have an issue with a high-end unit,don’t worry.With a quick access to a good number of spares, there will be no delay in completing any appliance repair service.When partnering with our company, you can be sure that you are getting nothing but the utmost result. Our appliance repair company is here to resolve your concerns fast and at a reasonable price. Whether you need replacement, maintenance or installation, we have got you covered. So don’t hesitate to call us for any Newark kitchen appliances repair right now.We are waiting to hear from you!